Yorkshire-born Garnham has had an interest in acting from a very young age. At just seven years old, he began attending classes at Kirkham Henry Performing Arts, North Yorkshire. He later gained a National Diploma in Drama before going on to train at the Royal Conservatoire of Scotland (formally Royal Scottish Academy of Music and Drama), where he graduated with a Masters Degree. His West End début came soon after, in the Eurovision Song Contest spoof, Eurobeat, starring Les Dennis and Mel Giedroyc at the Novello Theatre back in 2008. Eurobeat parodied the famous song contest with a selection of fictional acts from different countries, taking what is already a cheesy and rather camp event to new, sillier depths. Garnham played Irish entrant Ronan Corr in a hilarious performance, completed by the all-white outfit and over-zealous use of dry ice. His first professional appearance though was in Stiles and Drewe’s original production of Honk! The Ugly Duckling, which was the recipient of the Olivier Award for Best New Musical. He originated the role of Beaky in the show and features on the original cast recording. Other early theatrical credits include Billy in Around The World With Billy Brite (Stephen Joseph Theatre), Jason in Jason and the Argonauts (New Victory Theatre, New York), and Billy in The Rise and Fall of Little Voice (UK Tour). One of his most memorable roles followed, with a perma-tanned performance as the Jason Orange character of Jose Reize in the Take That musical, Never Forget. Garnham appeared in the reworked UK tour of the show along side Adam C Booth, Philip Olivier, Shaun Williamson & Michelle Collins. He joined the West End production of Les Miserables in June 2010, playing the role of Feuilly and also understudying Enjolras and Marius. His appearances were well-received by the audience, so much so that he was nominated for and subsequently won the ‘Understudy of the Year’ award in the BroadwayWorld UK Awards 2011. 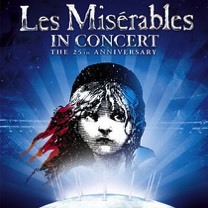 During his time with the show he appeared in the 25th Anniversary Concert of Les Miserables at the O2 Arena, sharing the stage with such names as Samantha Barks, Matt Lucas and Alfie Boe. Following his departure from Les Miserables, he joined the West End line-up of Sondheim’s A Little Night Music. The event was staged at the Yvonne Arnaud Theatre, Guildford and starred David Birrell, Janie Dee, Joanna Riding and Laura Pitt-Pulford, with Garnham playing the role of Mr Lindquist. He was then cast in the UK première of [title of show]. The Broadway musical made its London début in August 2013 with a four-strong cast that starred Garnham and Simon Bailey as the two friends writing a musical. Garnham played book writer Hunter opposite Bailey as composer Jeff, with Sarah Galbraith (Susan) and Sophia Ragavelas (Heidi) completing the line-up. He then returned to the West End following the opportunity to be involved in another brand new musical. He was part of the original London cast of I Can’t Sing! 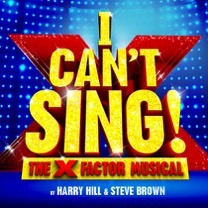 The X Factor Musical, written by comedian Harry Hill and featuring music and additional lyrics by Steve Brown. Making its world première at the London Palladium in March 2014, the show parodied the world of The X Factor and the people who live in it, including the music mogul himself. After the unfortunate early closure of I Can’t Sing!, Garnham workshopped Flowers For Mrs Harris for the Old Vic, before it was announced that he would be joining the cast of yet another new British musical: Made In Dagenham. The show, which had an impressive creative team behind it and a highly talented company of actors received rave reviews following opening night at the Adelphi Theatre on 5th November 2014. Garnham appeared in the role of Buddy Cortina along side hollywood actress Gemma Arterton and features on the original cast recording. Shortly after Made in Dagenham, Garnham travelled to Toronto appearing at the Princess of Wales Theatre as Edgar Beane in Titanic. Based on a chamber version directed by Thom Southerland at Southwark Playhouse two years earlier, Titanic sold out the 2,000 seater theatre nightly and secured 7 BroadwayWorld Toronto Award nominations. 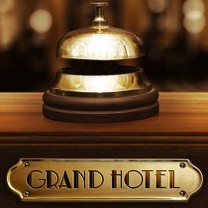 Back in London again and once more working with Tom Southerland as director, Garnham appeared as the lead role of Baron Felix Von Geigern in the revival of Grand Hotel at the Southwark Playhouse. 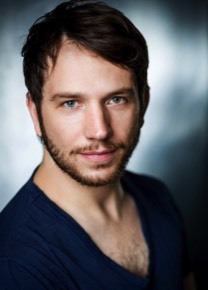 The show received critical acclaim gaining 5 and 4 star reviews from nearly every major newspaper and Garnham’s talent certainly didn’t go unnoticed with Mark Shenton (The Stage) declaring that “Scott Garnham is a big star in the making” and an Off West End Award Nomination for Best Leading Actor. His other theatre credits include Jest End at the Waterloo East theatre and the workshop of Pieces of String produced by Perfect Pitch. Garnham also penned the comedy song Self Indulgent Ballad which, co-written with Steven Luke Walker, came with an accompanying music video and reached No. 5 in the UK iTunes comedy chart. 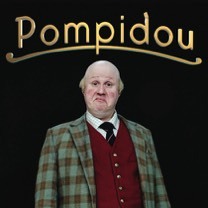 His TV credits include Pompidou (BBC/Matt Lucas) and the title role in the developmental of new TV comedy Joe Bloggs (Pozzitive Television Ltd). He has also made appearances on Children in Need, Sunday Night at the Palladium, Ant and Dec’s Saturday Night Takeaway & The National Television Awards. In addition to his many theatre roles, Garnham is a regular on the London cabaret theatre scene. He has supported new writing from Tim Prottey-Jones, Anderson and Petty, Jonathan Reid Gealt, Bobby Cronin, Scott Alan and many more. He has been a regular guest performer at a selection of MADTrust events, including a recurring appearance at A West End Christmas. As one of the charity’s staunchest supporters, Garnham also organised three fundraising cabarets while still a cast member of Les Miserables, all of which were an unparalleled success. His first solo cabaret was in 2012, staged at the Delfont Room and has since then being performed both in London and Internationally. Garnham has also performed as a vocalist on board the M/S Braemar (Fred Olsen), Ruby Princess (Princess Cruises) and is one of the founding members of The Twelve Tenors performing internationally including South Africa, Venice, New Zealand, USA, Monte Carlo and many more. Garnham is no stranger to producing events either. He co-produced the concert tour Direct From The West End in 2011 starring Samantha Barks, Gina Beck and Killian Donnelly and most recently co-founded, along with Simon Schofield, entertainment company Westend Productions International Ltd, with their most notable success being The Barricade Boys who launched last year with a sold out concert in London’s West End, appeared on The Paul O’Grady Show and supported X Factor Winner Sam Bailey in concert. Scott Garnham, as Billy's older brother Tony, delivered a vibrant, sparky performance, steeped in anger and desperation. He prowled the stage like an aggravated tiger, symbolic of the frustration of the men watching their lives crumble around them. Whether he’s shining on stage in a big West End musical or giving an intimate cabaret performance he always delivers an outstanding vocal display and is one of the most entertaining performers around. He has delivered some classic comedic performances over the years, but is just as memorable when he simply stands on a stage and showcases his strong acting or vocal ability. Scott Garnham really is a superb talent and one whose star is certainly on the rise. 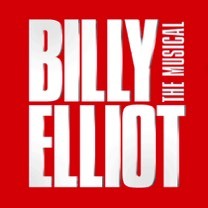 Scott is appearing as Tony in the first UK and Ireland tour of Billy Elliot - The Musical.